Jeanine Patten-Coble, the President of Little Pink Houses. We wanted to share something special on our Hope Wall. So many of our IBC sisters and family members have been a guest at the Little Pink Houses retreat. We just had to share, after reading their comments of what that trip meant to them. 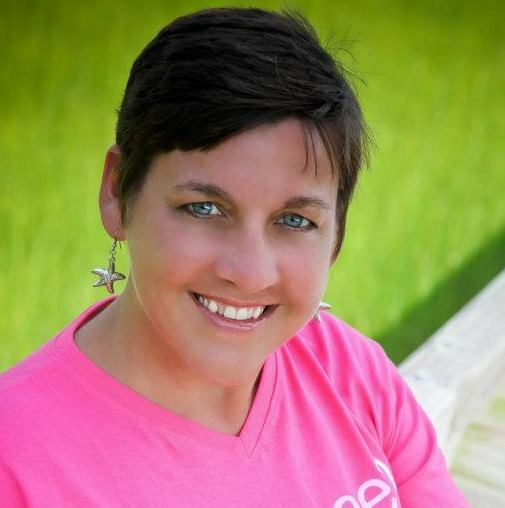 We asked Jeannie, a breast cancer survivor to share about her role with Little Pink Houses. We think she gave a great response. To learn more about Little Pink Houses, seen link at end of article. Asked to write about what I do… Easier to write about why I do it… I believe that every woman should have a chance to recreate her life with breast cancer however she wants. I believe that the desire to be a mom and have kids pales in comparison to the desire to see all of the moments in their lives growing up. It is the way it seems like it should be. The way that God intended it to be. But many women are faced with the reality that they have breast cancer and do not know that these things are something that they will see. I have been blessed by a calling to serve all women with breast cancer, including Inflammatory Breast Cancer. When I was diagnosed, I only knew “my kind of cancer”. Learning about Inflammatory Breast Cancer through many of the women that have attended our Little Pink Houses of Hope retreats has been incredibly educational and I have met some amazing women that often times feel alone. We are always excited to watch moments when women who have met online see each other for the first time at a Little Pink Family Retreat. There is an instant connection, not only between the women, but among their husbands. They quickly realize that they are not alone. They enter each other’s lives and stay on the journey long after the retreat. And that is why I do it… I believe that God has put each of us here to help write his love story. I am just one of the people lucky enough to see the beauty in the chapters of others!